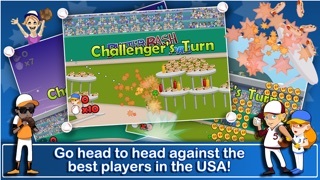 BUSTER BASH PRO is the successor to the critically acclaimed, ‘Buster Bash’! Just swipe your finger to hit the ball and watch as it collects coins, power ups and causes general mayhem in the destructible environments! Do you have what it takes to beat the 5 Challengers that await you at each stadium after you’ve proven yourself a true competitor? 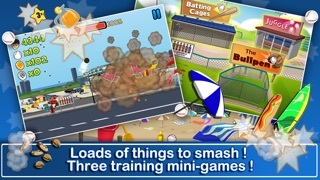 If you’re not quite up to snuff, spend some time working on your baseball skills in the training area featuring 3 unique mini-games! 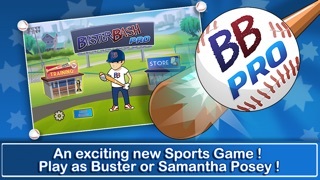 Collect gold and platinum coins to buy power-ups, equipment and clothing to customize Buster or Samantha’s uniform! – 3 unique stats for the player to raise to help their swing! – New, fun objectives involving destructive environments. 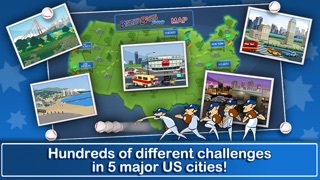 – A Challenger system that puts the player in a one on one baseball battle! 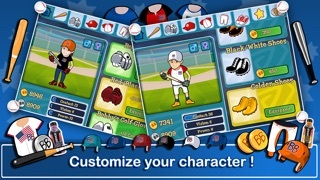 – Several different types of pitches for the player to try to send out of the park! – 3 new mini-games for the player to help increase stats!